On Day 31 of the Aadhaar final hearing, Senior Counsel Rakesh Dwivedi, appearing on behalf of the UIDAI, continued his submissions on the concerns regarding the conflict between the Fundamental Right to privacy, which the Aadhaar project is contended as being violative of, and other social and economic welfare rights such as the rights to food and shelter. In context of the conflict between the right to privacy and the right to know, the 2016 judgment in Subramanian Swamy v. UOI was also relied on, wherein the validity of criminal prosecution for defamation was upheld in the light of the tussle between the freedom of expression and the right to reputation. Further, reference was made to Indu Devi v. State of Bihar (2017), wherein the apex court, striking a balance between the right of a woman to reproductive choices securing her bodily integrity, personal autonomy and sovereignty over her body on the one hand, and her right to health on the other, had refrained the woman from terminating her pregnancy in pursuance of the Medical Termination of Pregnancy Act of 1971. Continuing in the same thread, the concept of human dignity was sought to be balanced with the right under Article 19(1)(g) to practice or engage in any profession, trade or business in so far the Supreme Court issued directions for the implementation of the Prohibition of Employment as Manual Scavengers and Their Rehabilitation Act of 2013 in Safai Karamchari Andolan v. UOI (2014). On Thursday, Justice D. Y. Chandrachud noted that in the event of a conflict between two rights of the same individual, the Court shall not allow civil liberties to be strangled. Mr. Dwivedi insisted that the Aadhaar scheme does not envisage such strangling of the civil liberties of the citizenry. Justice Chandrachud also stated that Aadhaar, as a means of identification, should be subject to the prerequisite that it does not operate as an instrument of exclusion. When Mr. Dwivedi repeated his contention that the Aadhaar mandates the face to face presence of the beneficiary of an entitlement under a welfare scheme before the distributor and hence, checks any swindling of the ‘Subsidies, Benefits and Services’. Justice Chandrachud expressed his dissatisfaction with such treatment of the beneficiary, observing that it is the State’s obligation to make available the rightful entitlement. Chief Justice Dipak Misra remarked that the means which couple security of the rights imbibed in Article 21 with the least possible invasion of privacy would assure the balancing of conflicting interests in the pursuit of the legitimate state aims. In respect of the reasonable expectation of privacy, Mr. Dwivedi advanced that the Aadhaar project satisfies the reasonable expectation in so far as the demographic information and facial photograph sought thereunder are being submitted to various institutions such as banks and universities and hence, are already in the public domain.Justice Chandrachud noted that the Aadhaar scheme does not seek data under the heads of religion, caste and creed. Mr. Dwivedi continued that the reasonable expectation of privacy would be different in respect of biometric information, core biometric information, demographic data and such heads thereof, as the mobile number, which are not mandatory. 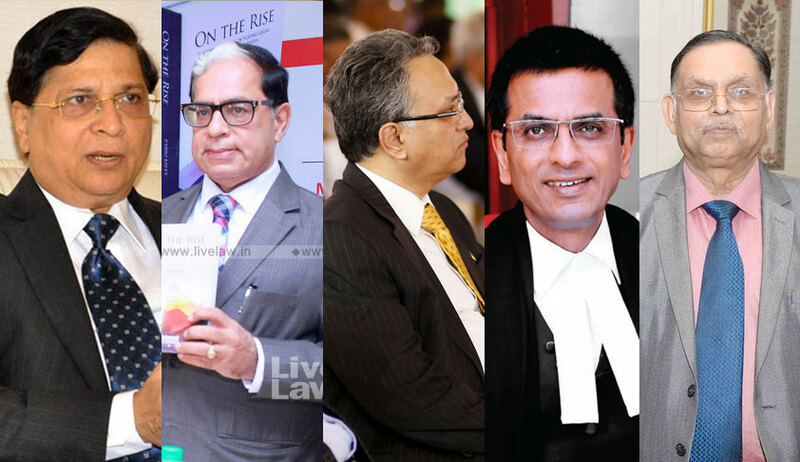 When Justice A. K. Sikri reiterated the threat of use of sensitive personal data without the consent or knowledge of the individuals for unapproved purposes, Mr. Dwivedi repeated that the threat may not be real. The Chief Justice remarked that that would be a matter of subjectivity. The Senior Counsel sought to make a reference to the 2013 judgment in G. Sundarrajan v. UOI.